With the car Land Speed Record due to be attempted on South African soil from the end of this year onwards there is a lot of interest in the history of the LSR. 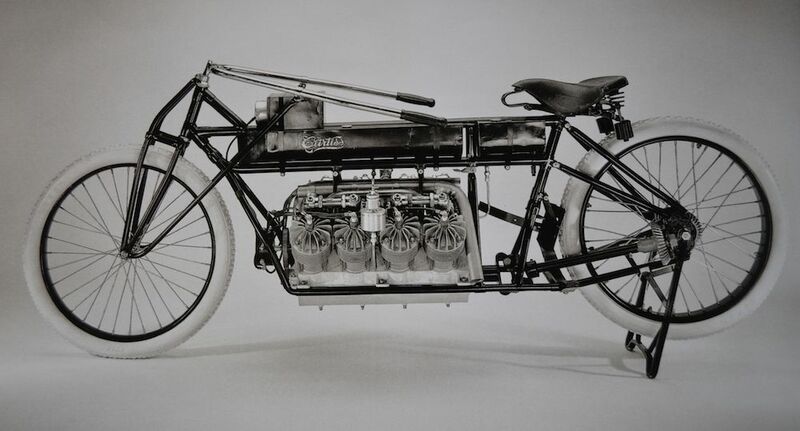 However, even though it is the cars that garner all the headlines and have done throughout history, the motorcycle land speed record has also had an interesting and varied history for just as long as the cars. As with the cars that have contested the LSR, motorcycles that have attempted record have borne less and less similarity to their road-going cousins as time has passed. 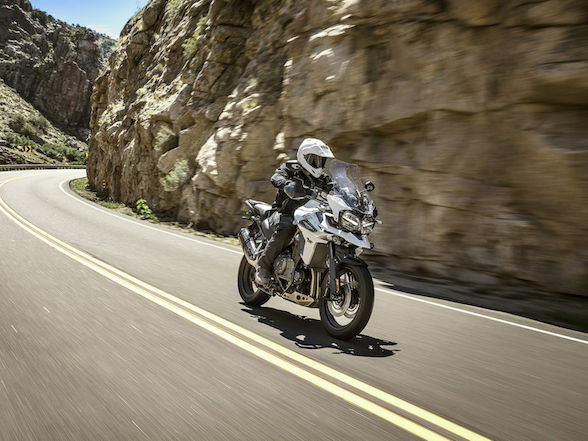 However, the motive power for the attempts has retained very close links, usually being highly tuned versions of road-bike engines, often paired in tandem in a custom and extremely streamlined chassis and bodywork. American Glen Curtiss set the ball rolling (albeit contradicting what I just said about motive power), using a 40hp, 4,000cc V8 engine he had designed to power dirigibles (blimps to you and me). It was the most rudimentary machine, the epitome of the engine-and-two-wheels school of thought. The engine was mounted longitudinally and drove the back wheel via shaft and bevel gears. Add in a front wheel, a petrol tank and a set of outlandish pull-back handlebars and that’s about it. But it was enough. In 1907, running on Ormond Beach in Florida, he set an absolute record for all vehicles (two- and four-wheeled) of 136.36mph (219.45 km/h). It wasn’t until 1911 that this was bettered by a Benz motor car. 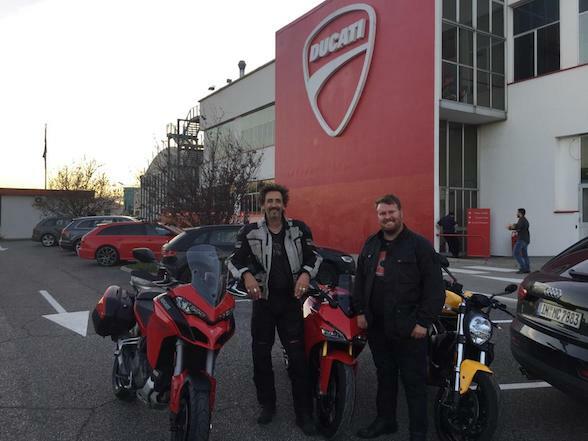 However, as with all American-set records of the time, it wasn’t officially recognised by the Paris-based FIA and its motorcycling arm, the Federation Internationale Motorcyclisme (FIM). Official recognition was from 1920 onwards and it wasn’t until 1930 that Curtiss’ two-wheeled record was surpassed. The 1920 official attempt resulted in a speed of 104.12mph (165.67km/h), set on American soil by one Gene Walker, a flat track racer. However, unlike contenders for the car LSR, who made US soil the default location for record attempts from 1927 onwards, the motorcycle world de-camped to Europe for the next 35 years, only to return to the US and the famed Bonneville salt flats when speeds outran the best that Europe had to offer. It’s strange, looking down a list of title holders from the motorcycle world, how many names are completely unknown, whereas in the car world, the men who risked all to become the fastest in the world became household names. Who, for instance, knows of Bert Le Vack, Claude F. Temple, or Oliver M. Baldwin? They were the men who held the official record between 1923 and 1930 raising the record from Walker’s 104.12 mph to Le Vack’s 126.75mph (207.33km/h). Odds are that none of them lacked any of the courage of their four-wheeled competitors but the fame was simply not destined to sit on their shoulders (at least not for record breaking; Bert Le Vack is considered one of the greatest motorcycle racers of his time and a biography of his two-wheeled life makes fascinating reading for the motorcycle enthusiast. Similarly, Glenn Curtiss himself didn’t exactly waste his life; he held U.S. pilot’s licence number one, created the first Naval aircraft and invented the flying boat, and built the largest aviation business in the western hemisphere). 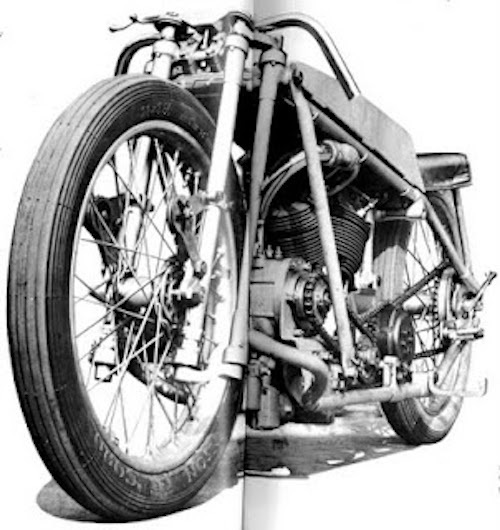 The year 1930 can be considered a watershed year for the bike LSR as it was in this year that Glen Curtiss’ record was finally beaten (what had all the pretenders to the title been doing – or more pertinently, what engine had they been using – in the meantime?). 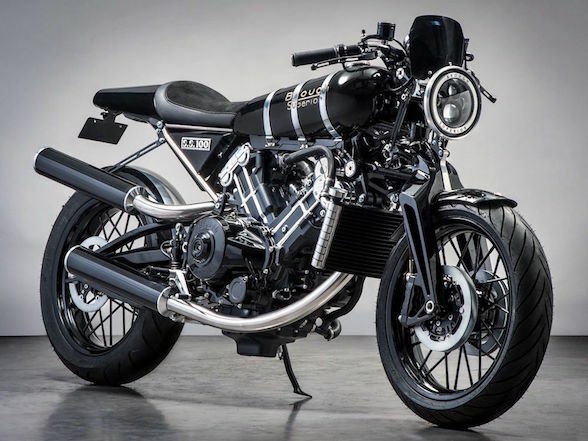 As through the 1920’s, the venue was Arpajon in France, a small town with long straight roads near Paris, and the speed was 137.23mph (220.99km/h) set by Joseph S. Wright on an OEC Temple JAP. The 1930’s saw Arpajon fall out of favour but there was no particular venue that took its place. 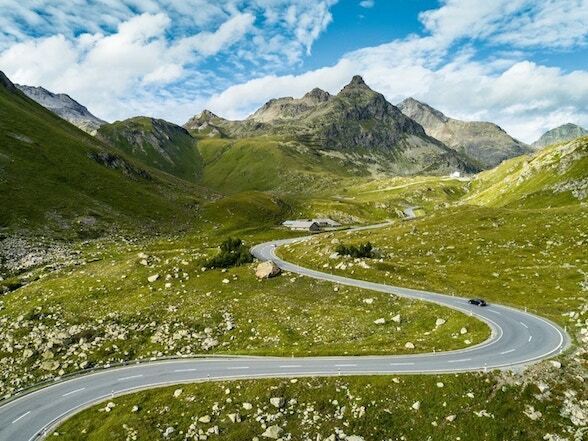 Two more records were set in 1930 itself, raising the record to 150.65mph (242.59km/h), one in Germany and one in Ireland. The one in Germany was significant in that it was set by Ernest Henne on a BMW, the first of six times this gifted racer would take the record over the next 7 years. In fact, between 1928 and 1937, he took a total of 76 land speed records of all descriptions on BMW’s and his last, taken in 1937, stood for 14 years. 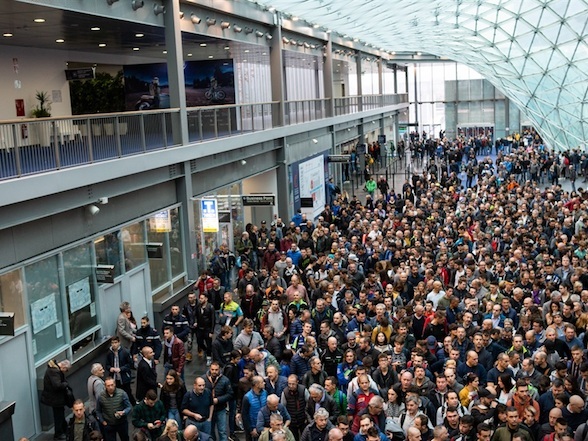 For some unexplained reason, Hungary was the venue for several successful record attempts in the ‘thirties. 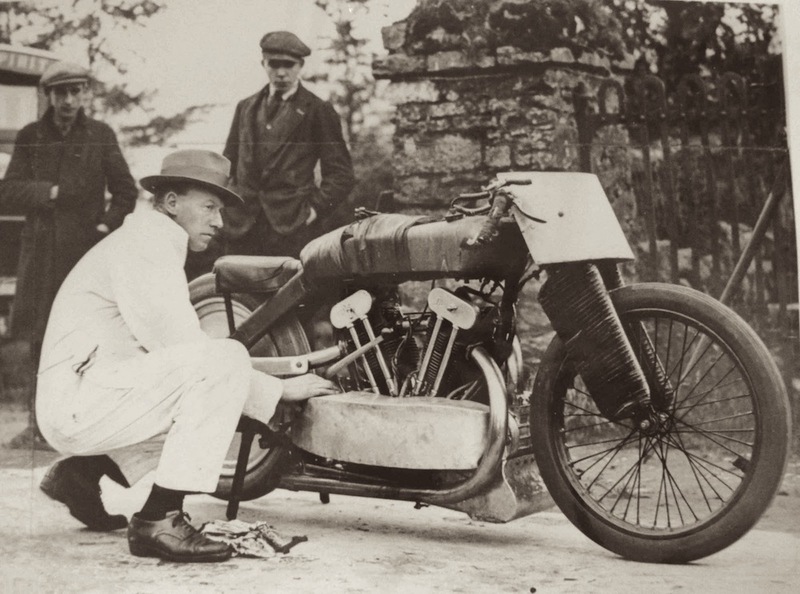 Englishman Eric Fernihough finally wrestled the record from Henne riding a Brough Superior at 169.68mph (273.244kmh) in 1937, only to be killed a year later attempting to regain the record from the ever-present Henne who had raised it to 170.27mph (274.181kmh). 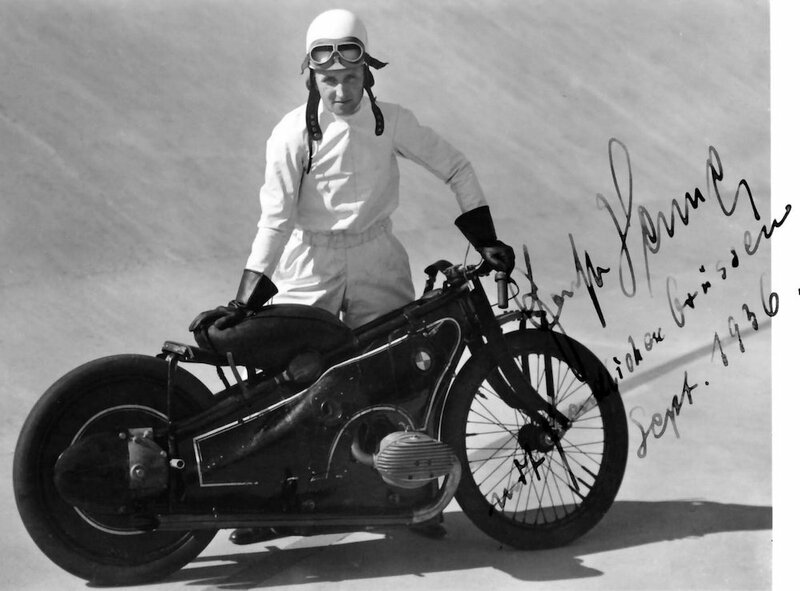 In the interim, racing driver Piero Taruffi had taken the record from Fernihough on a Gilera. Taruffi found fame as the winner of the last ever Mille Miglia motor race around Italy in 1957 and also as racer of the improbable ‘twin-boom’ Nardi cars that took basic aerodynamic and low-drag design for automobiles to its apogee in the 1950’s. Comparisons with the car LSR are inevitable when talking about any other wheeled LSR. It is interesting to note that, for a long time, bike record holders were much more likely to be regular racers than their car counterparts. All right, so Malcolm Campbell and Henry Segrave and John Cobb were well known for racing but, apart from Segrave, this was almost entirely at Brooklands in England which hardly represents the best of international racing. Perhaps it was because motorcycles could be made to go fast relatively cheaply by the manufacturers, who would use their contracted racers to ride bikes that still resembled their road-going offerings, whilst record cars were getting bigger and bigger and had little in common with a road car, thus negating any publicity the manufacturers might have gained from participation. It has to be said, though, that cars were much faster than the bikes; the current record for the bike LSR matches a record set by a car in 1947! But I digress. The Second World War interrupted proceedings and it wasn’t until 1951 that Henne’s record was broken, by another German, Willhelm Herz, this time on an NSU streamliner, pushing the record to 180.29mph (290.322kmh). It is interesting to note that the Germans relied on supercharging of relatively small capacity engines to achieve their records, whilst those using British machines relied on good old cubic inches. Indeed, Herz’s record was beaten by Russell Wright on a 1000cc Vincent-HRD in New Zealand, four years later. 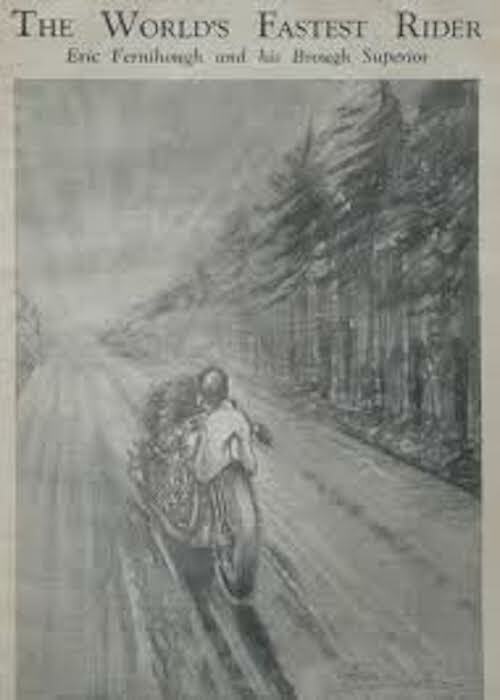 It’s 1956, and things really start to come alive for the bike LSR. 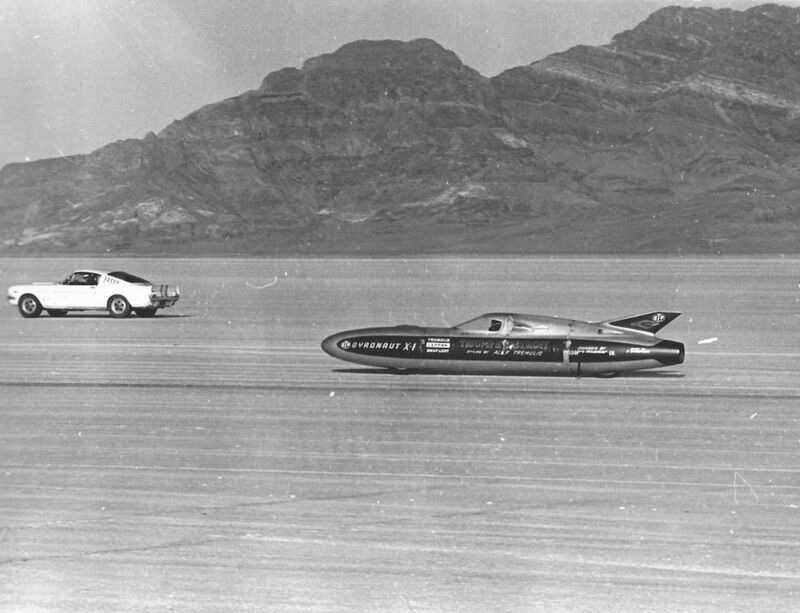 Most significantly, the venue for record attempts moved to Bonneville Salt Flats in the US and all subsequent attempts would be made there. What’s more, the first records set there would give the motorcycling world one of its most iconic machines. NSU set the ball rolling, Willhelm Herz once again taking the record at 211.4mph (338.092kmh) in the supercharged streamliner in 1956. However, barely a week later, their thunder was stolen in controversial fashion. Texan Johnny Allen was a well-known AMA flat-track racer. J.H. 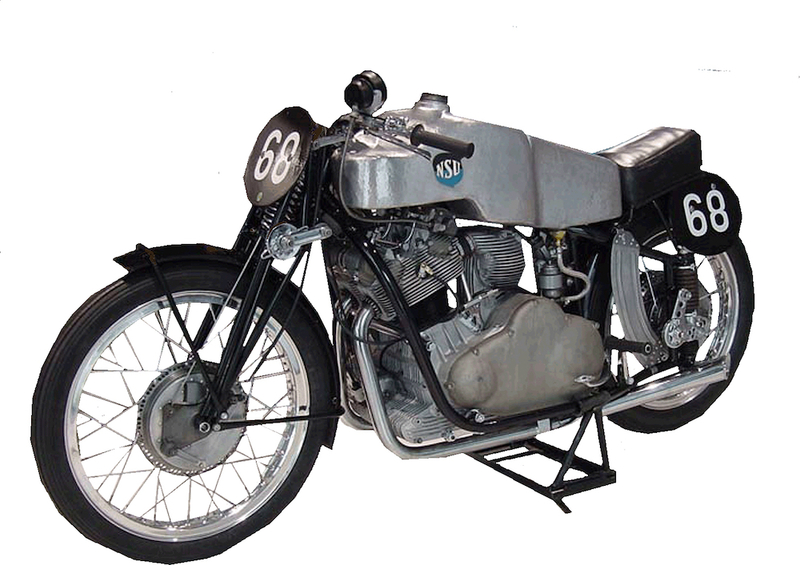 ‘Stormy’ Mangham had built a 15-foot long streamliner, powered by a 650cc Triumph Thunderbird engine and with this machine, Johnny Allen snatched the record away from NSU with a speed through the measured mile of 214.5mph (345.188kmh). However, the record was not recognised by the FIM on a technicality, although Triumph themselves gained massive publicity from the attempt and the speed attained, which still stood as an official American record. 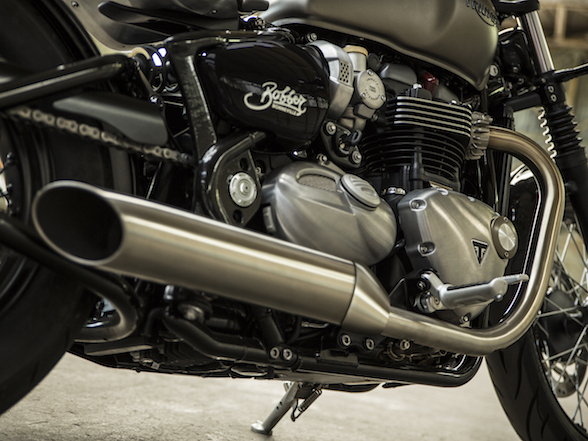 And, of course, Triumph capitalised even further by naming their newly introduced flagship model, the T120 Bonneville; the stuff of wet dreams for generations of motorcyclists and still a powerful and evocative name in the modern Triumph line-up. 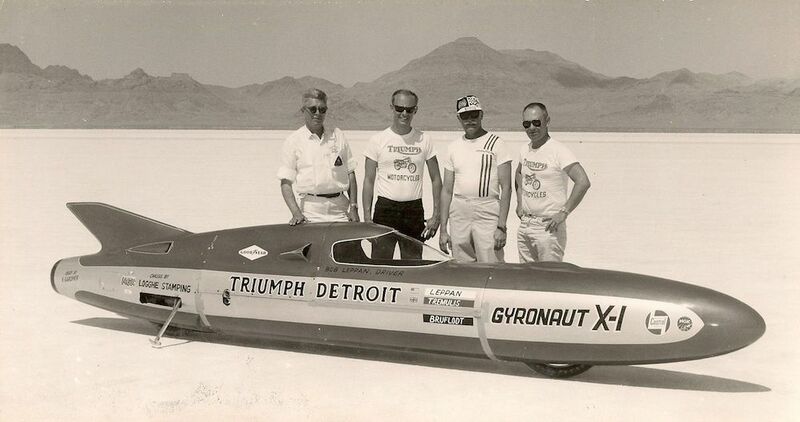 Triumph-engined machines were to hold the LSR for the next fourteen years; first ridden by William A. Johnson at a speed of 224.57 mph (361.41kmh) in 1962 and later, in 1966, by Robert Leppan in Gyronaut X-1 which used two Triumph twins in tandem for a speed of 245.60mph (395.28kmh). From this point on, all records would be set by machines using two engines. But there was a complication. In 1964, Craig Breedlove thought he had set a new car LSR of 526.277mph (846.961km/h) in his three-wheeled, jet-propelled Spirit of America. 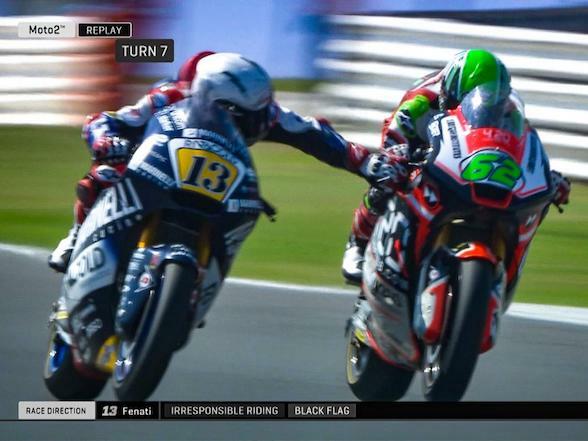 However, the FIA only ratified records set by four-wheeled vehicles, the FIM looking after those set by two-and three-wheeled vehicles. So, in fact, the record he set was, to all intents and purposes, a motorcycle record. At the time, the FIA also only considered records set by wheel-driven cars as applying for title of fastest in the world. When Breedlove’s record was rejected by the FIA, he went to the FIM to get it ratified. This whole episode prompted the FIA to create a new category for thrust-powered vehicles to its listings and so Breedlove’s record returned to where he intended it to be. As it was, most people considered Spirit of America to be a car and not a motorcycle, anyway. Through the seventies, the record was pushed higher and higher by Yamaha, Kawasaki and Harley-Davidson engined machines. 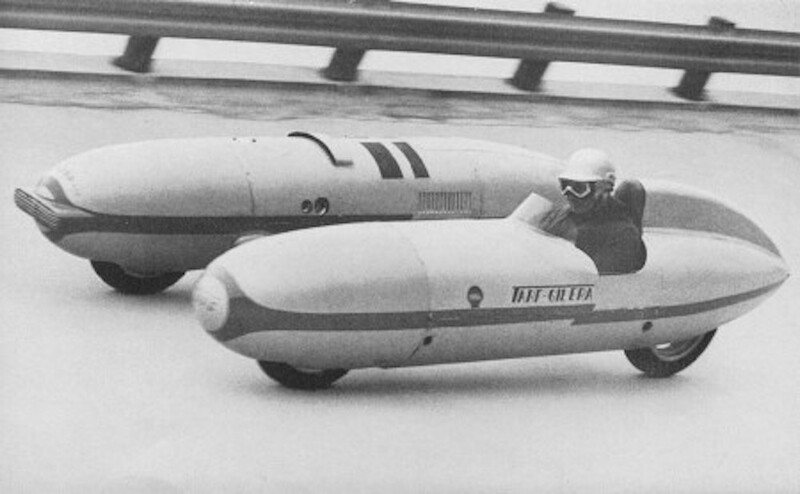 Don Vesco achieved 251.66mph (405.25kmh) using two 350cc two-stroke Yamaha engines in 1970. 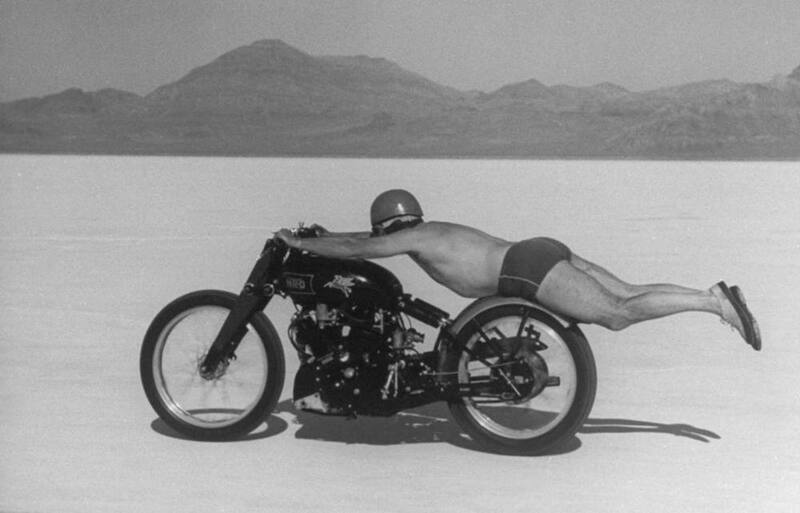 Later that year Cal Rayborn took his Harley-engined bike to 254.84mph (410.37kmh). By 1975, Vesco had gone over 300mph for the first time using two 750cc Yamaha motors and then switched to Kawasaki engines to go 318.598mph (509.757kmh) in 1978. As with the car LSR, things quietened down as far as record breaking on two wheels were concerned throughout the 80’s and nineties, although Dave Campos took his twin Harley-engined bike to 322.150mph (518.450kmh) in 1990. 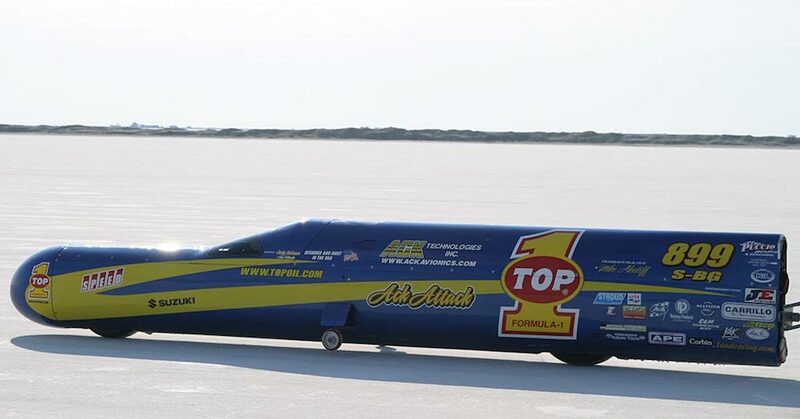 This record stood for a record 16 years until there was a renewed struggle between Chris Carr and Rocky Robinson in the 2000’s, the latter taking the most recent record at 376.363mph (605.697kmh) in 2010 using two Suzuki engines in his Top Oil Ack Attack. And the future? Well, there are always contenders waiting in the wings to have a crack at the record, some using piston power and some following cars into the jet age. The story has not reached its conclusion just yet.